Get your FREE expo pass by September 30! Prices increase October 1. Plus, register your spouse for free. 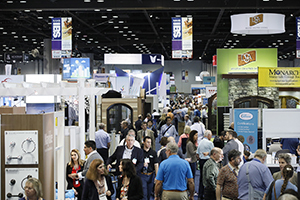 The NAHB International Builders' Show® (IBS) is the largest annual light construction show in the world, every year attracting 80,000 visitors from more than 100 countries. IBS 2018 brought together more than 1,500 top manufacturers and suppliers from around the globe in 583,000 net square feet of exhibit space, showcasing the latest and most in-demand products and services. This year IBS takes place February 19-23 in Las Vegas.